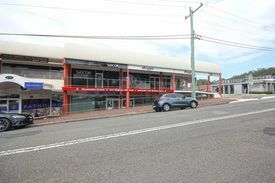 20 Commercial Real Estate & Properties in Nelson Bay are listed in 3 categories. We have 9 OfficesSale & Lease , 9 Retail ShopsSale & Lease and 2 Hotels and LeisureSale & Lease . 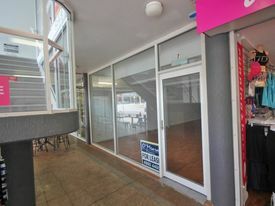 Located in the Nelson Towers Arcade right in Nelson Bay CBD this approx. 55m2 space suits a range of businesses. With corner exposure directly beside very popular café and on the main walkway through the arcade from Victoria Parade to Magnus Street. 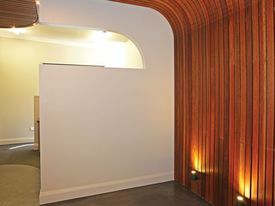 Ideal space for hair, beauty, professional office or any kind of consulting room. Modern, Professional Space $21,000/Year Plus GST Plu..
5/57 Donald Street $17,000/Year incl GST - O..
Prime Retail Space With Dual Street Frontage $97,500/Year plus outgoin.. The building is described as 'A' grade. It is a solid brick building with metal roof suitable for retail, office or medical usage. The building currently has access points from both Magnus Street and Yacaaba Street but this could be altered through fit out. Separate male and female toilets are in place and a large lunch room and storage area are located on the first floor. The position of the building is excellent with all major banks within 80 metres and plenty of parking is located close by. The premises have for many years been occupied by a pharmacy which is relocating into the new Woolworths building which is soon to open only 150 metres away. The size is approximtely 245 sqm downstairs and 100 sqm upatairs. 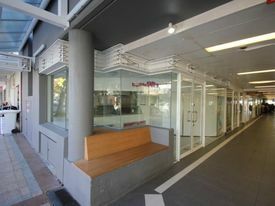 Modern Office Space In Cbd $25,000/Year including ou..
Large Window Display From This Retail Space $16,800/Year including ou.. Located in the busy Cascade Walk arcade is this ideal retail space approximately 48 sqm. The arcade fronts Stockton Street and the rear accesses the largest carpark in town. This shop is has a wide frontage which would lend itself to a great window display. 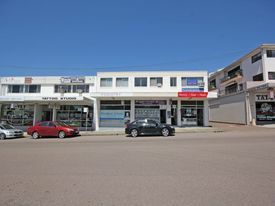 Nelson Bay Office Space $19,500/Year including ou..
Professional office space located in central Nelson Bay across the road from the largest car park in town. These upstairs premises are approximately 62 sqm and are well presented ready to move your office in. Busy Cinema Mall $16,400/Year including ou..
Upstairs Office Space Rent $21,000/Year includi.. 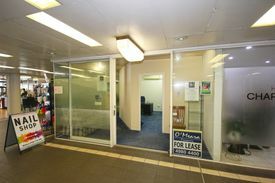 Approximately 83 sqm of upstairs commercial/office space in CBD area. The property would be suited to professional office space. It is currently separated into one reception area and four offices. This property could be leased separately Suite 5 Approximately 36 sqm $8,580 pa including GST and outgoings Suites 6 and 7 Approximately 47 sqm $12,500 pa including GST and outgoings. Large Shop In Cascade Walk - Price Reduced $39,060/Year including ou..
Office Space In Cascade Walk $13,020/Year including GS..
Large Shop In Cascade Walk $26,040/Year including ou.. This particular space is approximately 74.4 sqm shop set on two levels. It would be ideally used as a retail space and the two levels can lead to a variety of uses. Cascade Walk is ideally situated as a walkway from the CBD area to the largest carpark in town.